Sophie Monk's Instagram Story featured the first photo of her new man. Celeb in 5: Tueday's best entertainment and gossip news. 1. The Bachelorette’s Todd wouldn’t say no to becoming Australia’s next Bachelor. 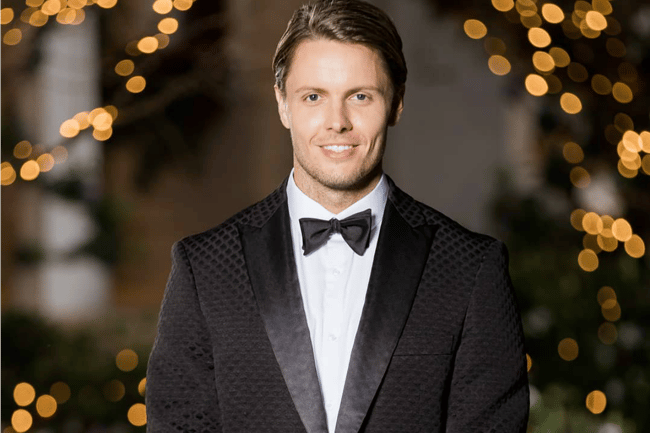 In what is likely to see a surge in 2019 Bachelor contestant applications, Todd King has hinted that he wouldn’t rule out following in Nick Cummins’ footsteps. …Which also means he might not be the winner of Ali’s heart despite all the overwhelming clues, including this very telling change he made to his Instagram bio. “Oh, s**t. That’s a good question,” he laughed. You are not a nothing. You are the man a random Twitter user said has “fall in love with me eyes”. Never forget it. 2. Sophie Monk has shared her first photo of her mysterious new boyfriend. 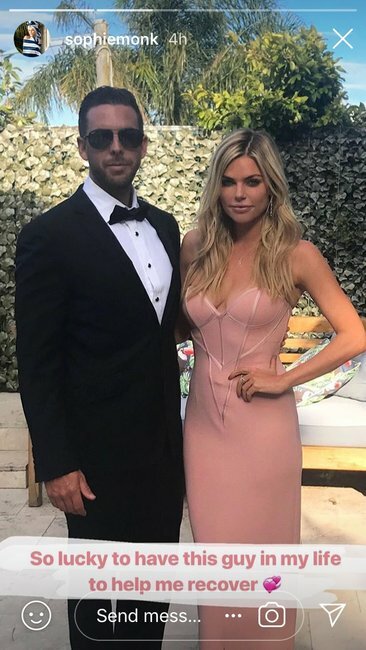 Since we discovered Sophie Monk had a new man in her life (that wasn’t Stu Laundy), we’ve been desperately trying to figure out who he is. The star has been very private on the topic of her new boyfriend… only revealing the sweet yet slightly awkward tale of how they met. Opening up about the experience to Kyle and Jackie O earlier this year, she says for many people the story “doesn’t really make sense”. After they were seated next to each other without a divider on a business class flight, Sophie said the pair started chatting over champagne. “He was so charming and funny and he had no idea what I did,” she told the KIIS FM radio hosts. “I was sitting there for a while and I went, ‘Hey, um, are you single?’ And he went, ‘Yeah.’ I went, ‘I don’t ever get to meet people in normal scenarios and, um, can I kiss you?’… I thought, ‘Oh god I’ve got a 10-hour flight with this guy, if he says no I’m in trouble,’” she joked. The pair continued to go to separate bathrooms to brush their teeth, before coming back for a cheeky mid-air kiss, and the rest, as they say, is history. Now we can finally say we’ve seen his face (even if he is wearing sunglasses). The 38-year-old shared a photo of her new partner on her Instagram Story today, thanking him for supporting her through her recent health scare. “So lucky to have this guy in my life to help me recover,” she wrote to accompany the photo. Sophie is currently recovering from keyhole surgery she underwent at an IVF clinic on the Gold Coast to remove endometriosis. The Love Island Australia host only learned of her diagnosis recently, while going through the process of freezing her eggs. She urged other women to "get tested" in an emotional Instagram Story on Monday. 3. 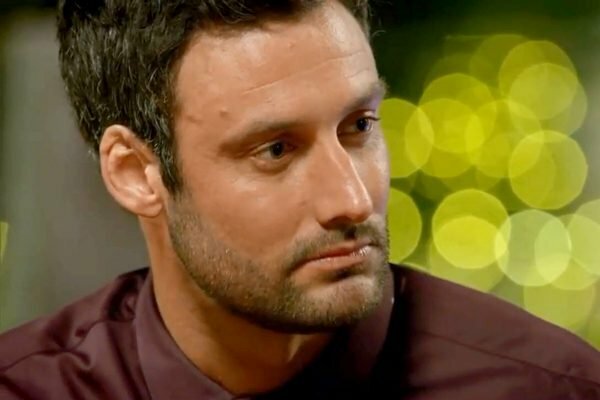 The moment The Bachelorette&apos;s Charlie Newling is wrestled by security outside a Sydney pub. Charlie had a habit of pointing out the door to men who didn&apos;t appear to want to be at The Bachelorette mansion this season. Last week, the 31-year-old was shown the door when he found himself mansplaining to the Bachelorette, Ali Oetjen. This week, he was shown the door again, when he was kicked out of The Golden Sheaf in Double Bay, in Sydney&apos;s East. Footage on the Daily Mail has emerged of the former Bachelorette star being wrestled to the ground by security guards, after he was denied entry to the pub. After much resistance, a guard is forced to put Charlie in a headlock. "[Charlie] lay there for ages until an ambulance rocked up, then the police came shortly after and it was all done," a source told the Daily Mail. Charlie himself then explained that he had gone to The Golden Sheaf to celebrate being dumped by Ali Oetjen. 4. Um what. How Lindsay Lohan almost became Blair Waldorf on Gossip Girl. Excuse us but this is big news. Apparently prior to the creation of the Gossip Girl series by CW, Warner Brothers won the right to Gossip Girl as a movie. Yep, the most iconic show of all time almost didn&apos;t exist. Lindsay Lohan was cast to play Blair and Oh. My. God. How could anyone come even close to being more Blair than Leighton Meester? This drama was unfolding during Lindsay Lohan&apos;s prime, when she was killing it in Freaky Friday. Ahem. We are suddenly very grateful for Gossip Girl. 5. Missy Higgins has admitted to making an awkward mistake after meeting Meghan Markle. It was just one line in an Instagram post by Missy Higgins, but it caused excitement all around the world. You see, last month the Aussie singer met the Duchess of Sussex at an afternoon reception at Sydney’s Admiralty House, one of her and The Duke of Sussex Prince Harry’s many official engagements during the royal tour of Australia and the South Pacific. Following the meeting Missy posted photos of the pair chatting on Instagram and uh, let slip something the world didn’t know. “What an honour to meet the beautiful Duchess today! She was such a sweetheart. I said I felt sorry for her having to do all these meet-and-greets while 4 months pregnant! What a trooper,” the 35-year-old Scars singer captioned images of herself and The Duchess. No one knew how far along in her pregnancy Meghan was, so Missy seemed to have scored a major scoop… Except, well, she didn’t. Appearing on Monday night’s episode of The Project, the singer said she just made up the number. 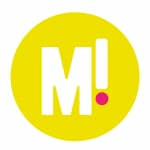 Check out the full story to find out exactly what happened when Missy met Meghan.